C.F Row has been shortlisted for Multiple Housing, Residential Architecture in the 2018 Victorian Architecture Awards by The Australian Institute of Architects. From 268 entries, 14 Juries have shortlisted 108 entries across 14 categories. The elegantly crafted multi-residential building features 43 apartments and seven townhouses that have redefined urban living in the heart of an iconic street and neighborhood. 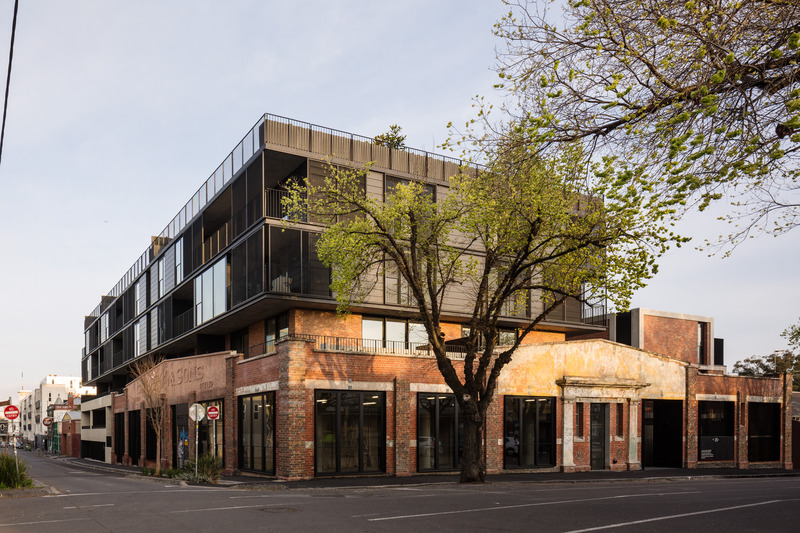 Award-winning architects, Woods Bagot, have drawn inspiration from the history, the built context and the dynamic culture of Fitzroy to create a stunning collection of contemporary residences. The 1686 square meter site contrasts a residential complex’s contemporary, lightweight aluminum, piano Nobile by the heritage buildings original façade, inviting current and prospective residents to immerse themselves in the unique bohemian culture whilst paying homage to its rich blue-collar history. “Since its completion C.F Row has quickly became a landmark project setting industry standards for multi-residential complexes. This achievement will only add to C.F Rows’ growing list of accolades,” said Dealcorp Chief Executive Officer, Michael Cornwell. The 2018 Victorian Architecture awards will be announced on 29 June. Winners will then progress to the National Architecture Awards to be announced in November.